FREE PREVIEW AND BUY HERE! Elaine’s books are now available in bargain box sets! Using YOGI IN THE KITCHEN as a companion cookbook to THE YOGA MINIBOOK FOR WEIGHT LOSS can help you achieve and maintain your desired weight goals, make your best food choices, and enjoy a lifetime of delicious, healthful eating and good health. YOGI IN THE KITCHEN combines yoga and healthy eating for total inner and outer fitness of the body and soul. The new, expanded edition of YOGI IN THE KITCHEN contains over 100 yoga-inspired recipes, the yoga diet, yoga poses, and exclusive extras. It features a yoga program to maximize your time by incorporating yoga poses, breathing, and meditations with cooking - all without leaving the kitchen! Bonus extras include exclusive yoga instructions as well as yoga articles and recipes. 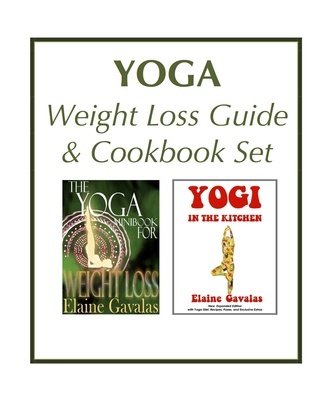 Elaine's cookbooks, YOGI IN THE KITCHEN and SECRETS OF FAT-FREE GREEK COOKING are companions to The Yoga Minibook Series. 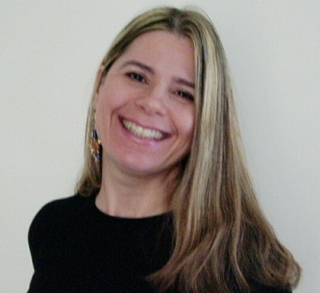 The Yoga Minibook Series was written as self-help guides in response to people's many fitness, diet and wellness problems, questions and concerns. The Ebook Edition of THE YOGA MINIBOOK SERIES BOXED SET! "More than 100 wonderfully presented recipes. 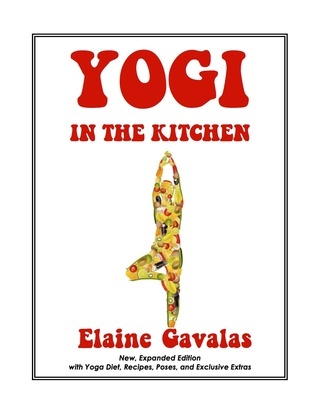 For Yogi In The Kitchen, author Elaine Gavalas draws upon her years of experience and expertise as a yoga instructor, exercise physiologist, nutritionist, weight-management specialist, and kitchen cook to provide more than 100 wonderfully presented recipes for dishes that are as good for the soul as they are nourishing for the body. Embracing the philosophy that Yoga is about healthier living in general, not just exercise, Yogi In The Kitchen begins with advice for eating the Yoga way, including how to stock one's pantry and seek balance in one's diet, as well as tips for staying healthy when eating out. Sample recipes include Baked Tofu and Vegetables, Garden de Vida Smoothie, Fresh Fruit Sorbet, and more. An excellent resource for making light, healthy, and fitness-promoting foods for oneself and one's family."